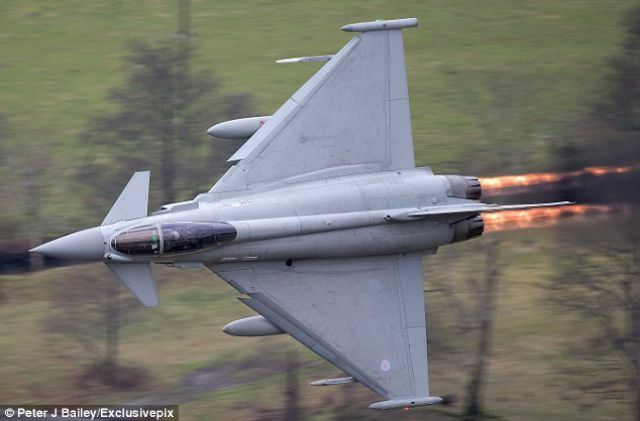 Photographer Peter Bailey was taking pictures from a hill in the Cadair Idris Mountains in North-West Wales, when a flying low jet fighter Typhoon passed just 100 yards (91 m) from him at 500mph. But it wasn’t finished. The pilot returned and made a friendly wave to a photographer who the latter could take on the picture. Apparently, the “incident” wasn’t dangerous for the photographer or for the machine. Plus, he got a great shot! What are you saying rolotomasi? I can't hear you!